These Cotswold desert boots are a unisex fit in 100% suede leather. They're comfortable and practical with a rich sand colour. With scotchguard protection applied at the time of dispatch, your boots can withstand greater assault from water and dirt. For only £2, this protection will increase the longevity of your excellent footwear. Review Summary - 3.7 out of 5 based on 6 ratings. 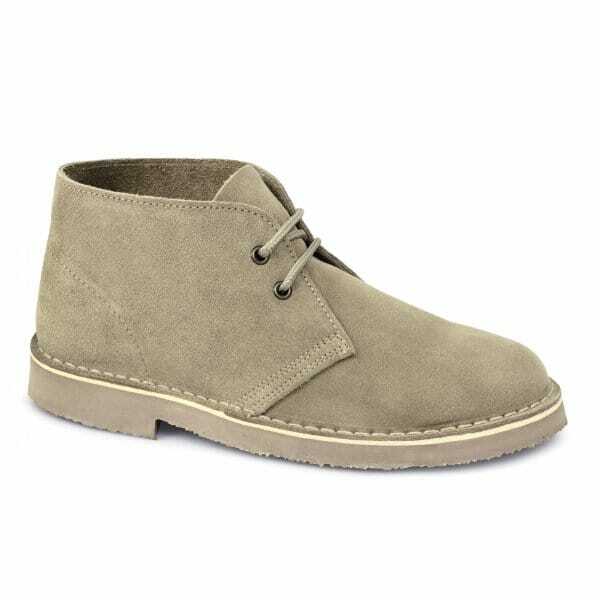 Always found desert boots to be very comfortable and good value for money. However, since the sole and heel are now of a honeycomb design, the boots don't last longer than a few months.\nThe boots are now no better than a house slipper. Great boots at a perfect price and no delivery charge, couldn't be better. They look to be well made, will know when I have worn them for a while, and they are extremely comfortable .